Leucas, Acarnania. 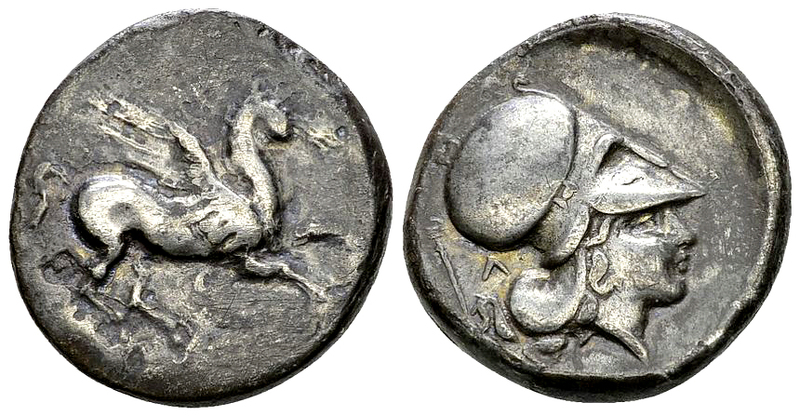 AR Stater (21 mm, 8.00 g), c. 300 BC. Obv. Pegasos flying to right, Λ below. Rev. Head of Athena right, wearing Corinthian helmet; [below, P]; behind, Λ and kerykeion.Pegasi 89; BCD -.